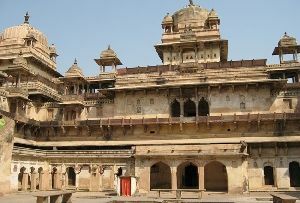 Jhansi is one of the important tourist places in Uttar Pradesh. It is believed that the seeds of India's freedom struggle were sowed in Jhansi. 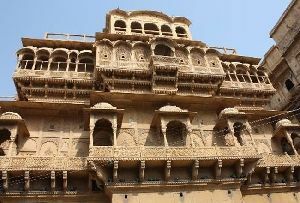 Indianholiday.com offers online information on Jhansi Museum, Jhansi and other tourist attractions of India. The Monuments And Museums In Jhansi remind us of the valor and struggle of the bygone era. One of them is them is the Jhansi Museum, Jhansi. Jhansi was the hometown of Rani Laxmi Bai who has an important character in India's quest for freedom. It was Lakshmi Bai's strategies and single handed fight that gave the British the first blow. 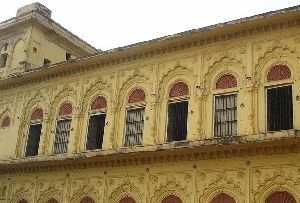 The Jhansi Museum, Jhansi has carefully treasured the remnants of those gory battles, bloodsheds and the patriotic fervor of a town called Jhansi. 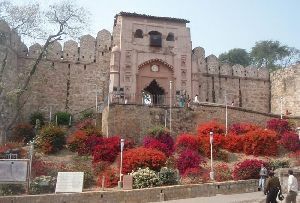 The Jhansi Museum, Jhansi is located in the Jhansi Fort. It gives us an interesting insight into the history of Jhansi and also the whole of Bundelkhand. You can get a glimpse into the life of Chandela dynasty from this Jhansi Museum, Jhansi. Besides this the Jhansi Museum, Jhansi houses weapons, statues, dresses and photographs of the Chandela dynasty. On your tour to Jhansi you can plan a trip to this interesting museum. In Jhansi Museum, Jhansi there is a picture gallery that is dedicated to the Gupta period. The picture gallery of the Gupta period is one of the major attractions that brings the tourists to this place. You can also get a glimpse of the numerous terracotta, bronzes, manuscripts, paintings and coins. There are also collections of weaponry and arsenals used by Chandela, Bundles and British. There are weapons used by Jhansi ki Rani and others during the Sepoy Mutiny of 1857. Jhansi in Uttar Pradesh in India is one of the interesting tourist places in Uttar Pradesh which attracts tourists from all over.